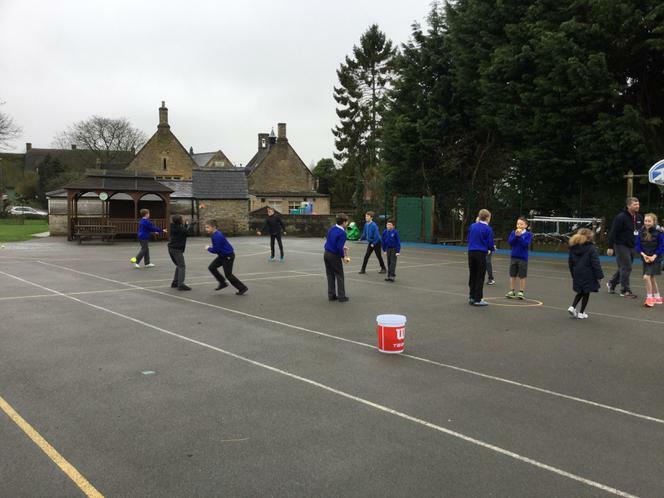 Children took part in different athletics activities for this half-term's competition. You might want to dodge the ball but you don't want to dodge this! 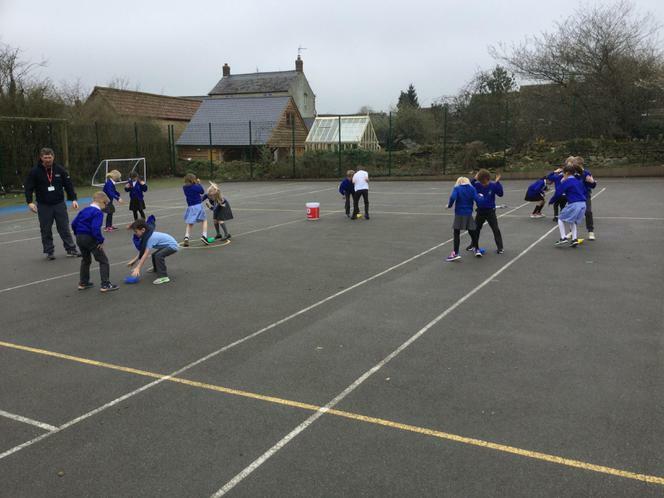 At Lavendon School we had a fun dodgeball competition and Owls, Foxes, Squirrels and Rabbits all joined in to try and win. The winner overall was Foxes! We were very fortunate to have a visit from Nigel Willard today. 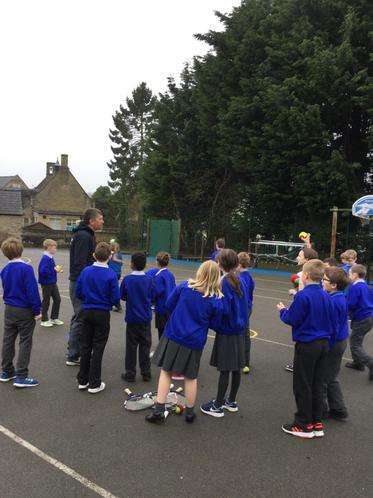 He came in to run some taster tennis sessions for the children and led an assembly for the whole school. 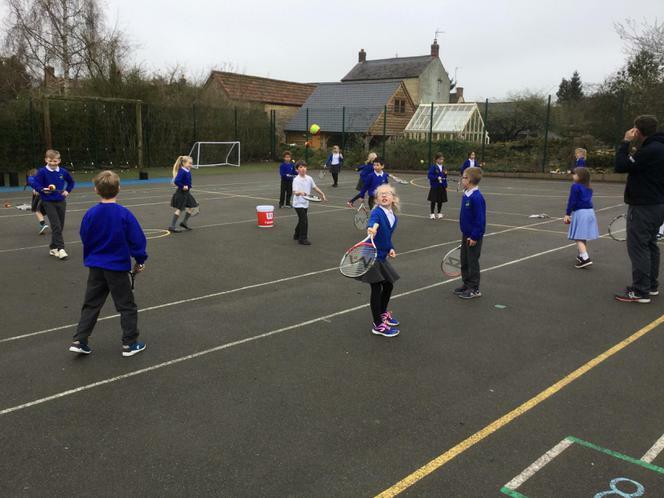 The children all loved the activities and listening to Mr Willard's stories about successful tennis players from Lavendon and other local areas. 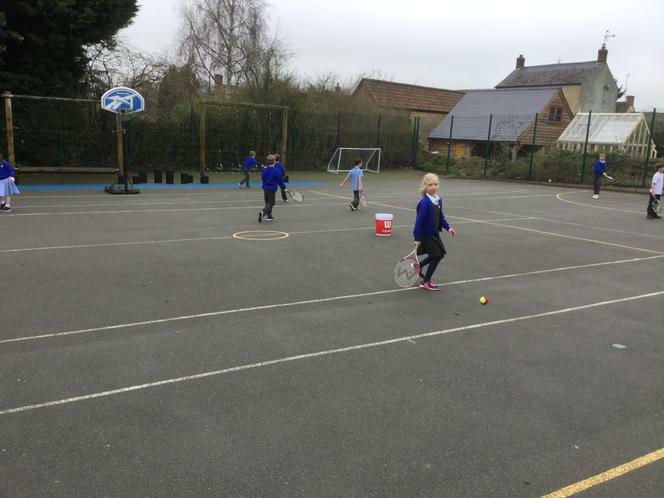 Please visit the Olney Tennis Club website if your child is interested in taking up tennis outside of school. 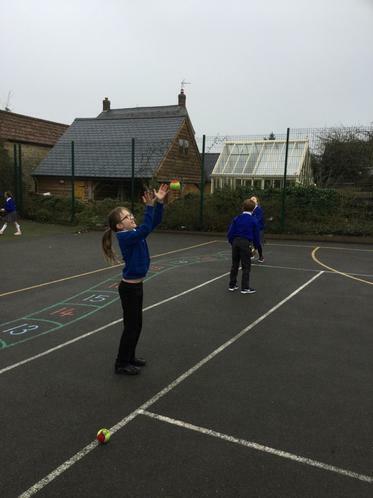 In January, year 5 and 6 competed in an indoor athletics competition. 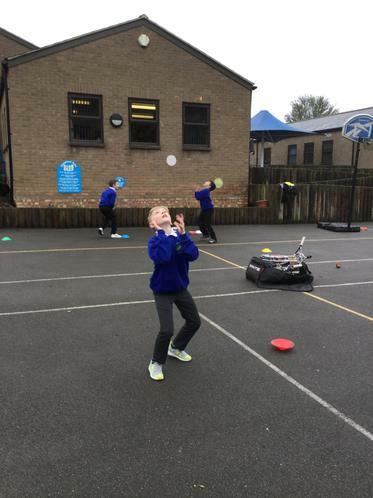 There was long jump, hurdles, sprints, speed bounce, vortex and triple jump. We did really well in all events but did unfortunately come last. 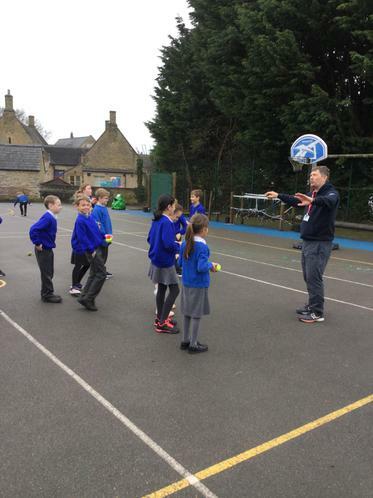 It was held at Ousedale School at the Olney campus. 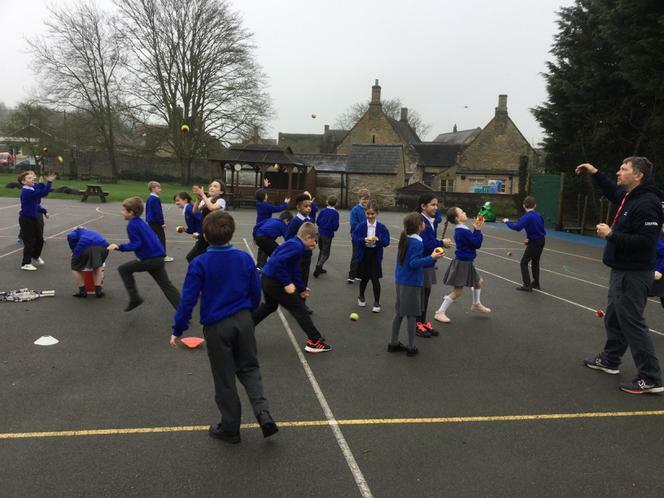 Year 6 and other classes have competed in a basketball competition. The teams were in house teams and we played mini 5 minute games against each other we all ended up playing each other. Overall in the whole school Foxes won, Squirrels came second and Rabbits and Owls came joint 3rd. 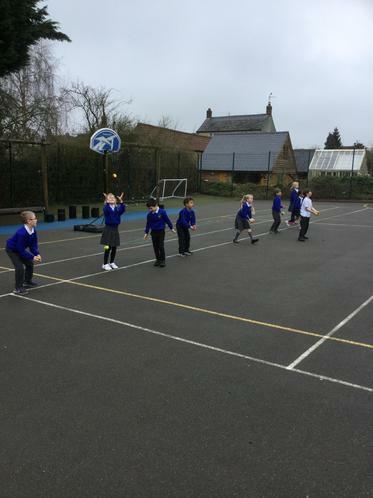 Children in years 1 -6 took part in basketball events using the school games formats. The winners for each class are below. 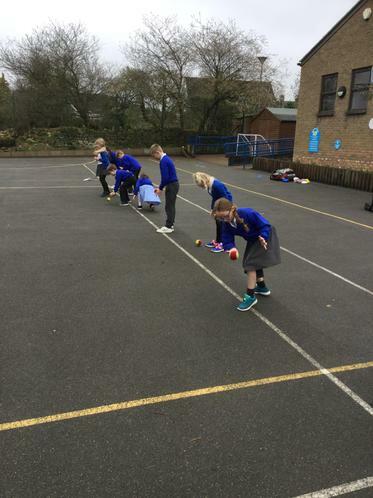 The overall winners of the Sports Cup this half-term were Foxes. 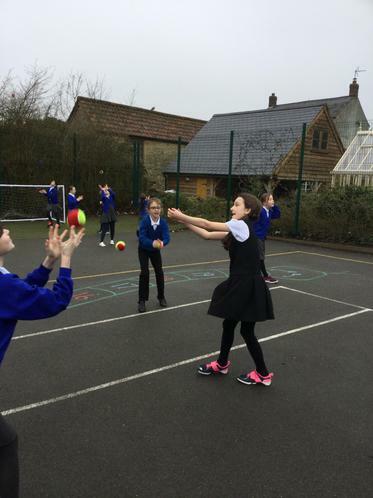 Our year 5 and 6 children travelled over to Long Meadow School for a couple of netball matches. We were fortunate enough to take over two teams. 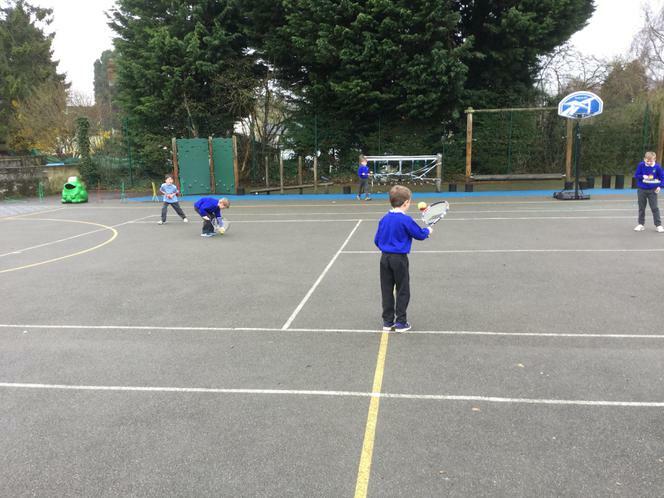 The children played really well and both schools were fairly evenly matched. We look forward to welcoming them over to us soon. First everyone got there and then the junior girls got ready for their race. While they were doing their race, all of us were cheering. Next, it was the junior boys. They were all doing very well. After it was the senior girls, they were all near the front. Last but not least, was the senior boys. Although it was a tough race, they did very well with a top finish of 47th. First was the junior girls who came 2nd overall. Their top three finishers were: Emilia (5th), Emma (7th) and Sarah (17th). Second were the boys where Kyle came 34th, Maxim 35th and Oliver 65th. The third race was the senior girls with top three finishers of 7th, 24th and 34th. Last but not least were the senior boys: Daniel 47th, Edward 64th and Jacob 73rd. Overall Lavendon came 3rd. Everyone did amazing! Well done to everyone who battled the rain and mud to take part in the cross-country event at MK Bowl today. 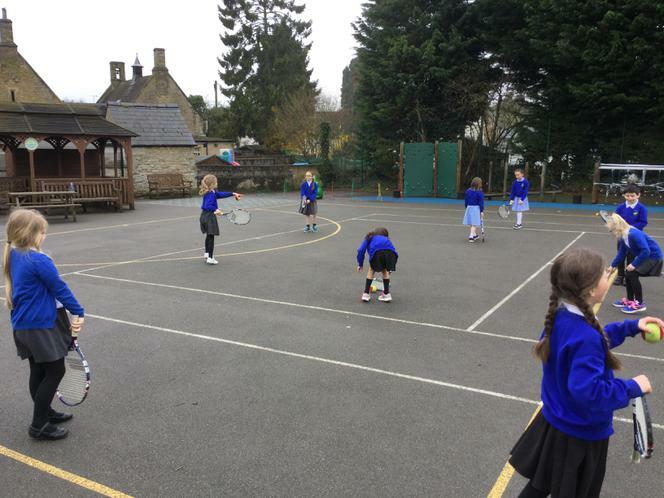 You were all superstars and we had some amazing results. Not only did we have some awesome individual results but when the top four finishers in each category were added together our junior girls came 2nd out of the 15 small schools entered and as a school we finished 3rd overall which is amazing and means we get some lovely trophies to put on display. 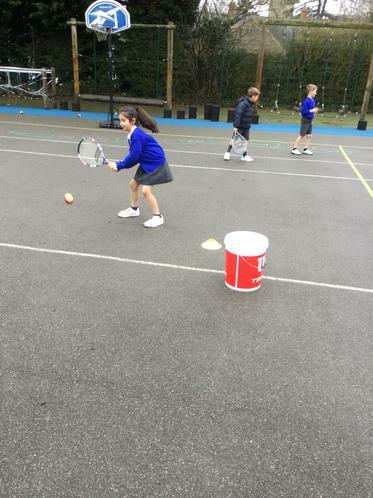 Super effort today and during training over the last half-term. Below are the house winners from each class and overall winners for the netball competitions held this half-term. 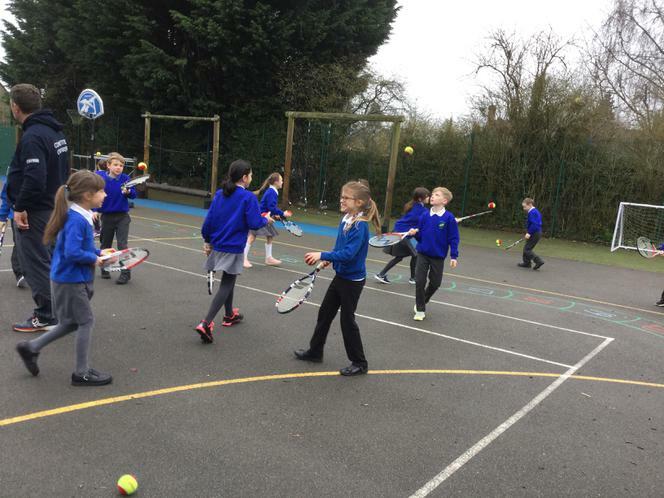 Next half-term the children will take part in tennis competitions within their classes to compete for the Sports Cup. Buzzers are running a holiday club over the half-term. Please see their website for further details.